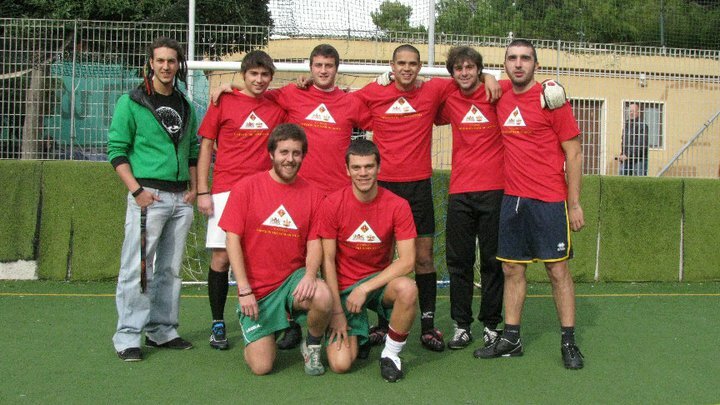 With a goal in the 48th and last minute of the 1st half Inter did win the topmatch in Luigi Ferraris. Our goalkeeper Eduardo was guilty of this bouncing ball of Muntari that never might have finished behind him in the goal. In the 2nd half Genoa attacked all 52 minutes and Inter only defended and spoiled time with many fake-injuries. Criscito, Toni and substitute Boakye were close to the equalizer but at the end the only thing Genoa got were the compliments. With 7 injuries (central-midfielders Kharja and Veloso; strikers: Palacio, Jankovic, Rudolf, Palladino, Sculli) and a 0-5 defeat last year the chances of Genoa against Inter seemed very little. In the field however the teams were equal with big chances in the first half to Eto’o and Rossi. The goal of Muntari was not even a little chance. In the 2nd half Inter only defended the 0-1 score. Let’s hope that at least one of the central-midfielders Kharja or Veloso can play next Sunday-evening in Palermo because Omar Milanetto got his 4th yellow card against Inter and will be squalified this week. 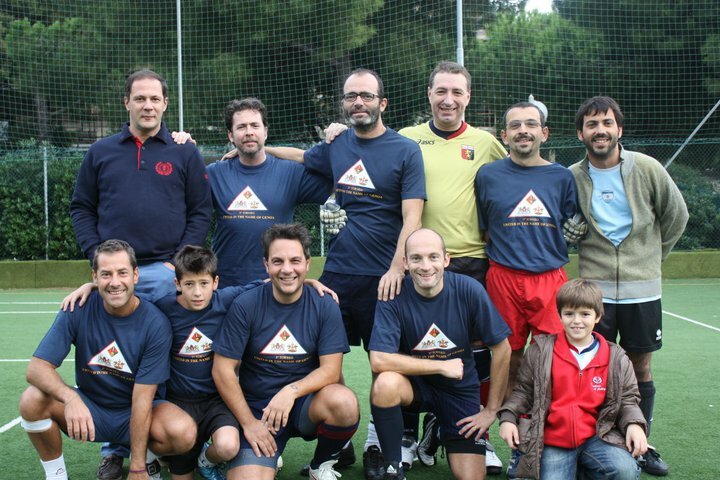 The 3rd edition of United in the name of Genoa was a big succes, just as the first 2 versions. On the tennisfields in the beautiful area of Albaro at the seaside 8 teams (6 Italian and 2 Dutch) tried to win this International tournament of calcetto. 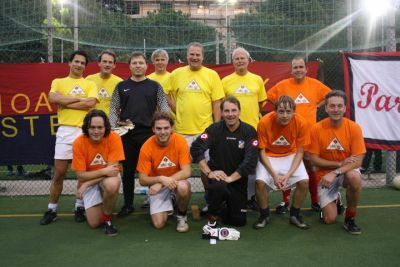 In the semi-finals the 2 Dutch teams: Genoa Club Amsterdam and the Flying Doctors played a derby, which gave G.C. 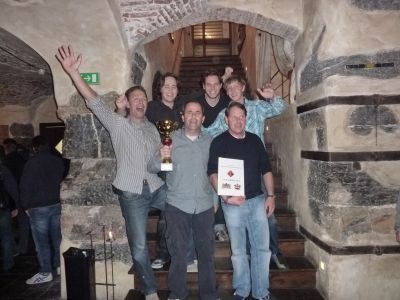 A’dam the ticket to the final against Grifoni in Rete. Earlier in the group- fase the match ended in a 1-1 draw, but in the final the Genoani of Amsterdam beat the strong Genovese team by 2-3, just as Ajax in April 1992 in Luigi Ferraris. After the tournament all the 8 teams went to the beautiful Restaurant, Café, Library “Nouvelle Vague” to have a fantastic party with a great dinner. Several Italian and Dutch songs were heard in the city-centre of Genova with our loved club Genoa as the shared religion of all. 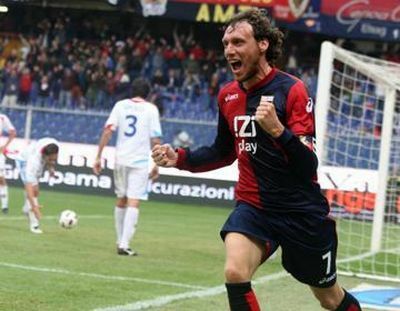 On Sunday everybody went to the stadium to see Genoa Club Amsterdam player of the decennium Marco Rossi score the winning goal against Catania. 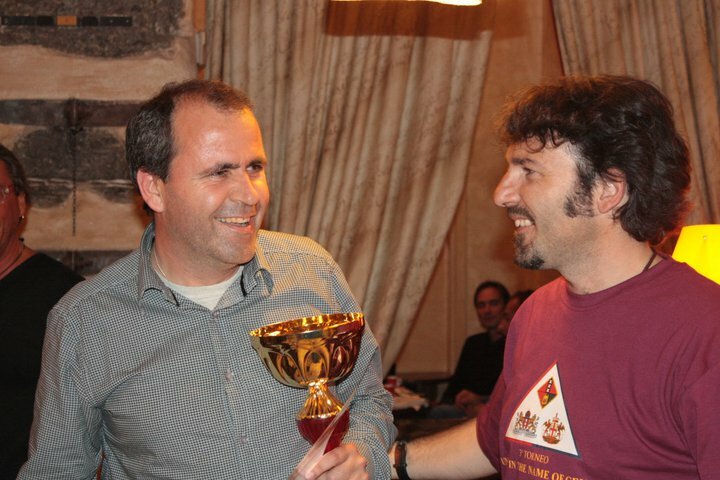 Thanks Luca Carini and friends to give us all a fantastic weekend ! Next year at 21st May we hope to see you all in Holland at the 4th edition of United in the name of Genoa. In the last 20 minuts Genoa had several chances to double the score and Eduardo saved Genoa ones, but at the end everybody had the same opinion: Genoa deserved the 3 points and is back where we belong: at the left side of the standings. Saturday 23rd October the 3rd edition of the international tournament of Calcetto: United in the name of Genoa takes place in the Albaro-area in Genova. 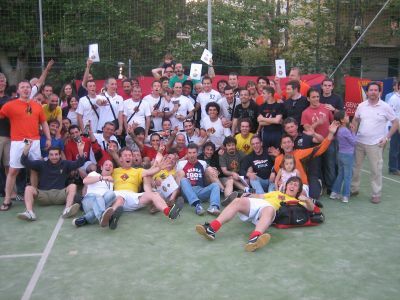 Six Italian teams (Grifoni in Rete, Grifoni Cromati, Un Cuore Grande Cosi, Grifoni Sbandati, Sguardo Assente and Allunaamanin) and two Dutch teams (Flying Doctors and Genoa Club Amsterdam) play between 15.00 and 19.00 hours to be the proud champions. 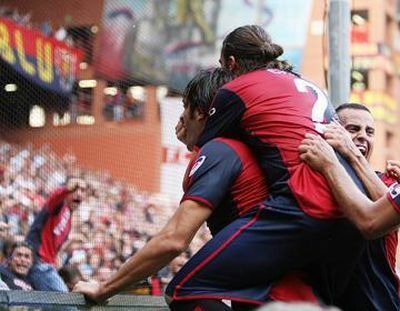 Last Wednesday Genoa beat Grosseto (Serie B) after extra time by 2-1 (twice Luca Toni) in the 3rd round of Coppa Italia. Sunday the Gasperini-boys play in Serie A against Catania and will have the support of 12 Dutch supporters. 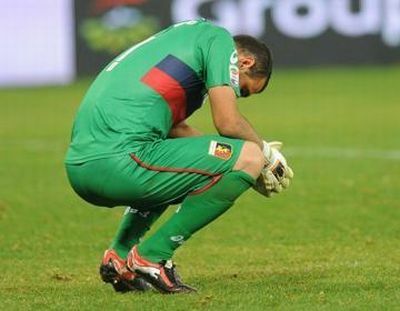 Just as the last weeks Genoa played a good match, but again we had no points at the end. Because Veloso and Rafinha could not start in Rome our captain Marco Rossi returned in the line-up. Ten minutes before halftime our ex-goalscorer Marco Borriello opened the score to react first after a cross of Totti was touched by Mimmo Criscito: 1-0. At the beginning of the second half Matteo Brighi scored together with Criscito and Rossi a goal that is impossible to score: 2-0. 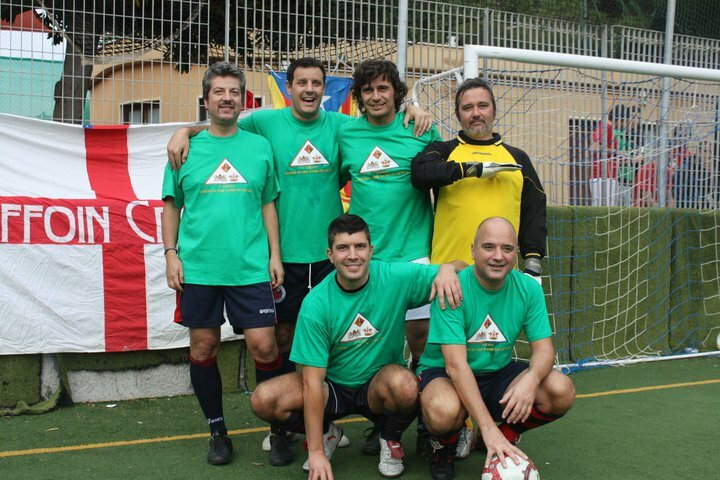 From this moment there was only 1 team in the field: Genoa! Substitute Rudolf first hit the crossbar and 11 minutes before the end scored 2-1, while Luca Toni deserved a penalty when Burdisso took his shirt with 2 hands to stop a header of Toni. Referee Damato closed his eyes and only gave Genoa 5 minutes injurytime but at the end A.S. Roma was the winner: 2-1. Next Wednesday at 18.00 Genoa plays in Coppa Italia in Luigi Ferraris against Grosseto (Serie B). Saturday some members of Genoa Club Amsterdam fly to Italy to play the calcetto-tournament: United in the name of Genoa and to support Genoa against Catania. Genoa played very good matches against Fiorentina and A.C. Milan and deserved at least 4 points in these 2 matches, but we got only 1 point. Against Bari it again looked like we were very unlucky when just after halftime Moretti was send away by the referee and Bari scored the very dubious penalty: 1-1 (openinggoal in the first half by Palacio). Also with 10 against 11 Genoa kept attacking and the deserved bonus arrived at the 95th minute: Luca Toni headed the ball behind goalkeeper Gillet of Bari: 2-1. Genoa is now back at the left side of the standings where we belong! 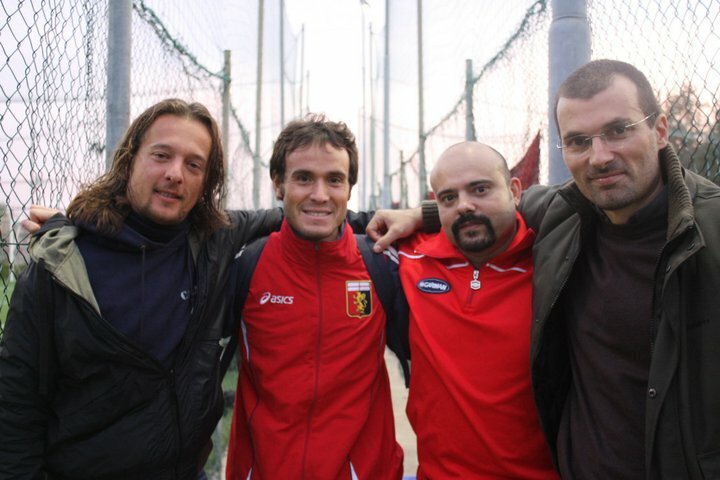 Tomorrow-afternoon at 15.00 hours Genoa plays the 6th match in Serie A of the season in Luigi Ferraris against Bari. The last 2 matches against Fiorentina and A.C. Milan the team of Mr. Gasperini played very good but brought us only 1 point.